Quality and precision are not necessarily the first words that come to mind when you think of wood pallets - unless you work at David McNabb Pallet Mfg. 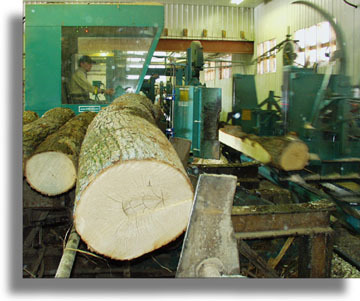 Inc.
At McNabb we pride ourselves on producing superior pallets in a variety of sizes and materials - all manufactured to exacting standards using quality wood for a reliable and safe platform for shipping and storage. 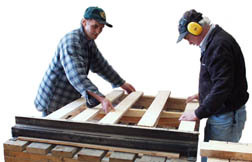 Pallets can be manufactured for permanent and reusable applications. 2 way notched or 4 way notched pallets are available in standard or custom sizes. Orders are usually be ready in 4 weeks from order placement and can be shipped or picked up in our yard. David McNabb Pallet Mfg. Inc. produces fully certified pallets for export. Export orders can be quoted same day and delivered quickly. David McNabb Pallet Mfg. Inc. is a member of the Canadian Wood Pallet and Container Association and is a participant in the Canadian Wood Packaging Certification Program.